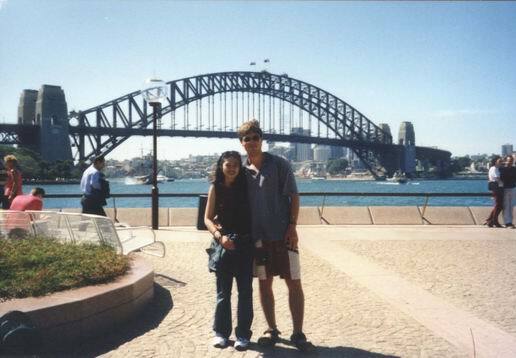 With Arty in front of Sydney Harbor Bridge. Of course, we could not miss a chance to get one photo in front of Sydney Harbor Bridge which uses fact, that you would have to travel another 50-80 kms around if you would not use it, for taking out toll charge. Bastards !